The temperature outside is 33 degrees Fahrenheit — and it’s been so cold in NYC lately that this feels like a heat wave! The weather has inspired Alex and I to plan a warm-weather getaway. Our trip came together in a snap and I believe that all vacation planning should be done effortlessly. With that thought in mind I welcome you to Travel Month of Effortlessly with Roxy! 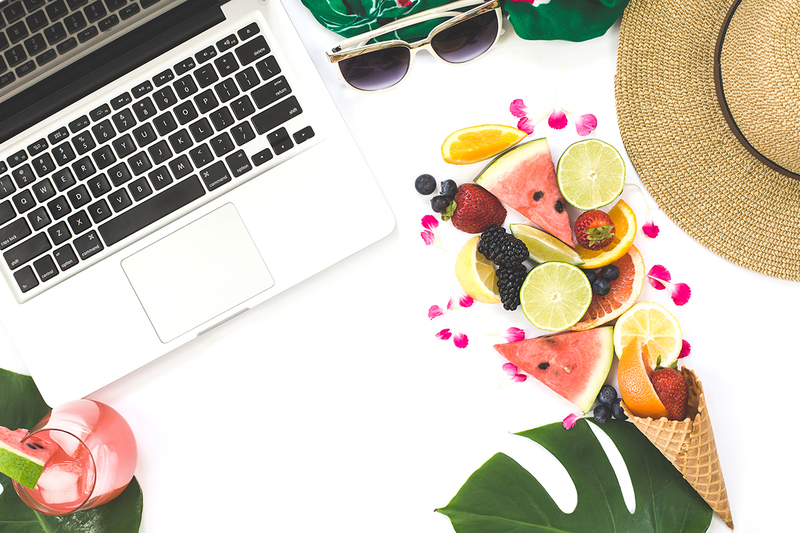 This month will feature tons of travel and vacation content on the blog, with everything from packing tips to destination guides to pointers on how to choose a great vacation on any budget. And of course outfits! It gets better — a bunch of fantastic bloggers have written guest posts to add depth to the coverage here! Whether you’re planning a Winter getaway or thinking further down the road, let this month guide you to the perfect vacation or adventure excursion…effortlessly. In addition to the travel coverage I’ll still be sprinkling in my regular coverage on all things new arrivals, sales, promos and businessy in the shopping world. So sit back, relax, grab a cocktail or a mocktail or your tea or coffee, and get ready to travel around the world with me in January! And you can see the entire series once it’s live via my travel tag. I’ll also be sprinkling my Facebook page with tips and must-haves for traveling, sharing great travel articles by other publications and bloggers and pinning articles like mad to my new Travel Pinterest Board. The next post will be live early this afternoon. Hi Roxy, I called the customer service number. They said, for them to check an item's inventory, the item has to be available online. Since it's sold out, they won't be able to check. Waaaaaat. Shoot me an email. I’ll help you. Hi Roxy, I just sent you an email on contact@effortlesswithroxy.com. Thank you so much for helping me with my search. Thanks so much Roxy for the quick response and for offering to help!! I will check with them and let you know how it goes.